The Rundown: Formed in 1984, some might label Ween as a “one hit wonder” band. 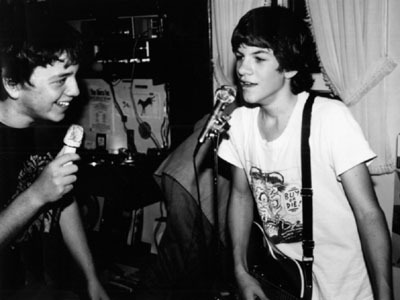 The brain child of Aaoron Freeman (Gene Ween) and Mickey Melchiondo (Dean Ween), Ween has been rocking out for nearly three decades. Filing out the band roster is Dave Dreiwitz (bass), Claude Coleman, Jr. (drums), and Glenn McClelland (keyboards). Their music has evolved over time, ranging anywhere from Rock to Experimental. Never being afraid to push their creative boundaries, Ween has tallied a whopping 17 albums between their independent releases and their studio albums. Their first ever album, released independently, was “The Crucial Squeegie Lip” was released in 1986. One of Ween’s most popular songs is “Push Th’ Little Daisies” from the Pure Guava album (1992). Between 1990 and 2007 Ween released 11 albums: “GodWeenSatan: The Oneness“, “The Pod“, “Pure Guava“, “Chocolate & Cheese“, “12 Golden Country Greats“, “The Mollusk“, “Craters of the Sac“, “White Pepper“, “Quebec”, “Shinola, Vol. 1“, and “La Cucaracha“. 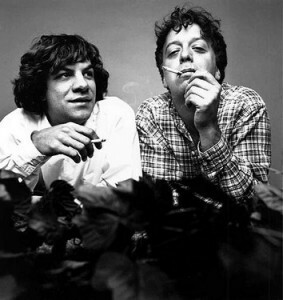 Ween has had their songs used in numerous film soundtracks including The X-Files, Beautiful Girls, Dude, Where’s My Car?, U Turn and The Spongebob Squarepants Movie. Despite all that promotion, many people didn’t even know who they were listening to when they heard Ween. Despite being relatively unknown to the mainstream, Ween has a pretty big underground fan base. They aren’t worried about popularity, they just like to make music. I can remember all the way back to 1992 (when music was still good) and hearing Ween’s Push Th’ Little Daisies on the radio. It fit right in with most of the music that was coming out at the time. I can also remember that I was possibly one of maybe, 100?, people that actually liked that song. While that stat may not be incredibly accurate, I can distinctly remember catching a lot of grief about liking it. I’m not sure why I liked it, even today, I can’t tell you why. It isn’t ground-breaking, it isn’t super catchy. But it is unique, and there’s no arguing that. Believe it or not, Ween had other songs. One that I found to be most intriguing to me was “Cover it With Gas and Set it on Fire“. What is even more intriguing is the video that goes along with it. If you haven’t seen it, it’s in the list at the bottom of this page so you can see it. It has muppets, so I don’t know how you wouldn’t like it. The song itself is short and grungy, with a piercing guitar solo in the background. The lyrics aren’t that tough to remember, as there aren’t many words to the song. A lot of people might think that it’s not a good song. I would disagree. It’s catchy, it has a good beat, and I happen to like grungy, scratchy guitar sounds. 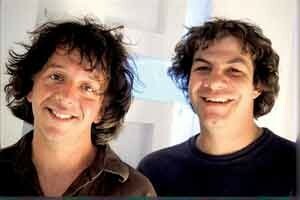 The bottom line is, no matter who their label is, no matter what year it is, Ween is out there, making music. MarsBands.com applauds them for their creativity and longevity.